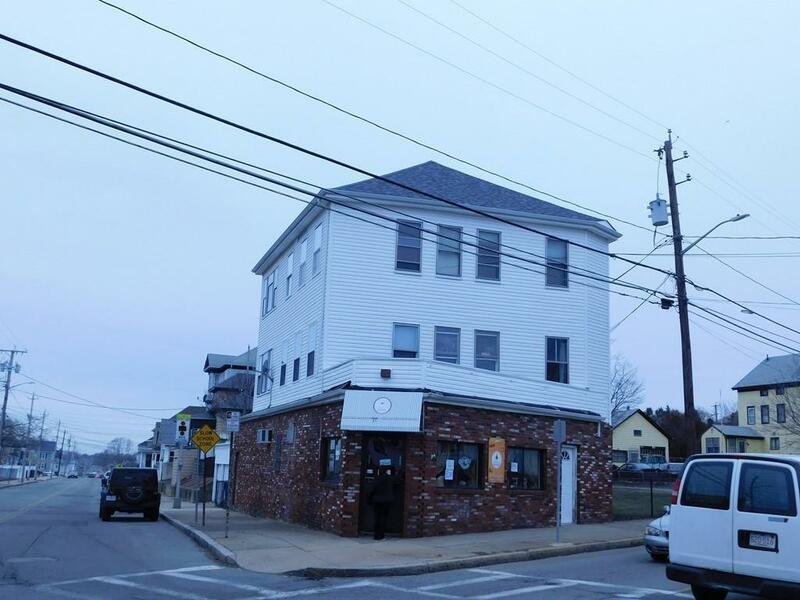 Mixed use building with retail space on first floor (Currently leased to a bakery/breakfast caf ) . Tenant owns all the trade fixures and in lease until November 2019. and 2 - 2 bedroom apartments on the upper floors . 2 stall garage . Great corner location with recently installed roof. Live and work from the same building or buy for investment . The choice is yours . 3rd floor vacant at this time and needs tlc.